Australia isn't richer than Britain. We are growing fastest in Europe and faster than America this year. And Australia actually has a massive debt. 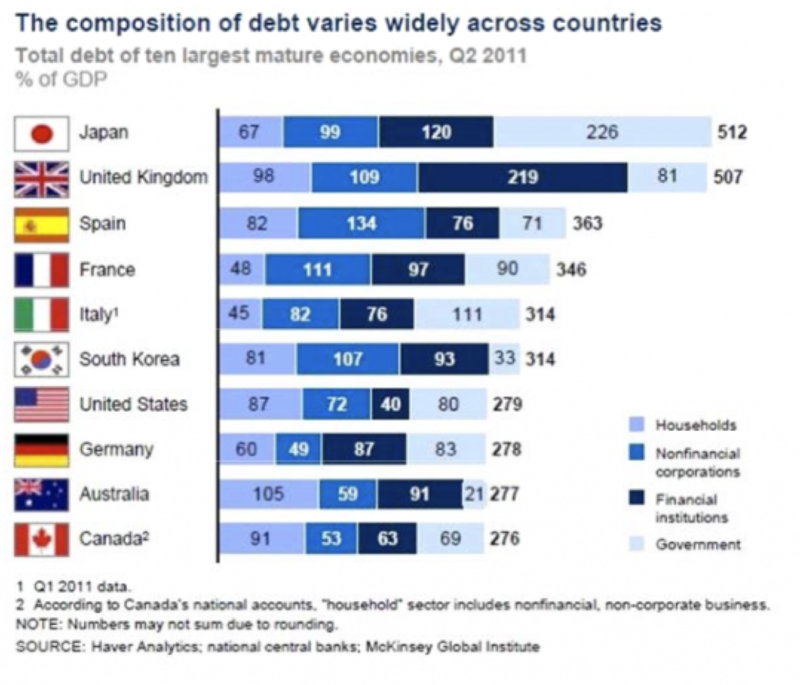 Britan has a far larger total debt per person than Australia. Last edited by danielsa1775; 04-24-2014 at 03:34 PM.. The reason why Catholics were such a huge block is that almost all French Canadians (25% of the total population of the country) were Catholic. Add on the non-French who were Catholic and that made a lot of people, but in the more anglo parts of the country Catholics were almost never the majority and what one might call a Protestant societal character does tend to persist there. - the larger divisions that are generally in the north of the provinces and in the territories tend to be sparsely populated. - the areas in BC in the west that are no religion would have been protestant areas a generation or two ago. - the Toronto area appears Catholic because it has large Italian, Portuguese, Irish, Philippino, etc. communities but Ontario as a whole retains a pretty strong Protestant mindset. As does English Canada as a whole. Yet in some ways Canada's involvement in world conflicts has been more strongly linked to the UK while Australia has acted more as a US ally. Canada introduced conscription to support its WWI involvement while Australia did not; in WWII Canadian forces served largely in Europe along side the UK while Australia fought with the US in the south west Pacific; both Australia and New Zealand were involved in the Indo China conflicts of the 1960-70s as part of US efforts; and more recently Australian forces also saw action in Iraq. But its not in the Western Hemisphere so wasn't affected by the Recession. Canada is nothing like Presbyterians trust me!! But so does Mexico and the UK is more like the USA than Mexico. Most emigrants (at least according to British expat forums) to Australia from the UK have a trade skill that Australia needs. We do not qualify people with trade skills to move here, only college degrees. That's a big reason why there's few Brits here compared to Australia. The same applies to Canada as well, I am not aware that they accept trade certs as meeting requirements for immigration. British professionals have been leaving Britain in droves and emigrating to America/Canada for decades. They work in many industries over there. We're not just a nation of Electricians or Plumbers!! No offence to any Electricians or Plumbers on the board . I just think it's insulting to insinuate that we don't have skilled people that would be wanted/needed in America. I personally know many Britons that work in the game industry in America. I also believe most Brits living in the US are here because of an American spouse. Don't be silly. 700,000+ Britons in America, and you think most of them are there because of marrying an American. There are a similar number of Germans living over there. Do you think the same is true for them? Or, are they the pioneers that will take America forward in the 21st century.